Published: Nov. 18, 2018 at 07:32 p.m.
Denver Broncos kicker Brandon McManus makes game-winning field goal as time expires. Published: Sept. 16, 2018 at 07:43 p.m.
Denver Broncos kicker Brandon McManus makes a 36-yard field goal attempt with seconds left in the game. 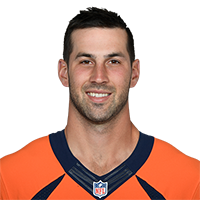 Published: Oct. 18, 2015 at 04:49 p.m.
Broncos Brandon McManus kicks game-winning 34-yard field goal. The Denver Broncos beat the Cleveland Browns in overtime, 26-23.